Justin has been running Striped bass fishing trips down on the Sacramento and Feather rivers this week. The water in the Sac is running high and visibility is low slowing the bite down a bit right now. If the Sac isnt fishing he's bouncing over to the Feather where hes getting clients on fish. Big turbid flow years are great for Striped bass fishing, and this year is one of them. We just need a little break in the heavy Sac River flows and some less than muddy water and we'll be catching lots of great Striped bass. 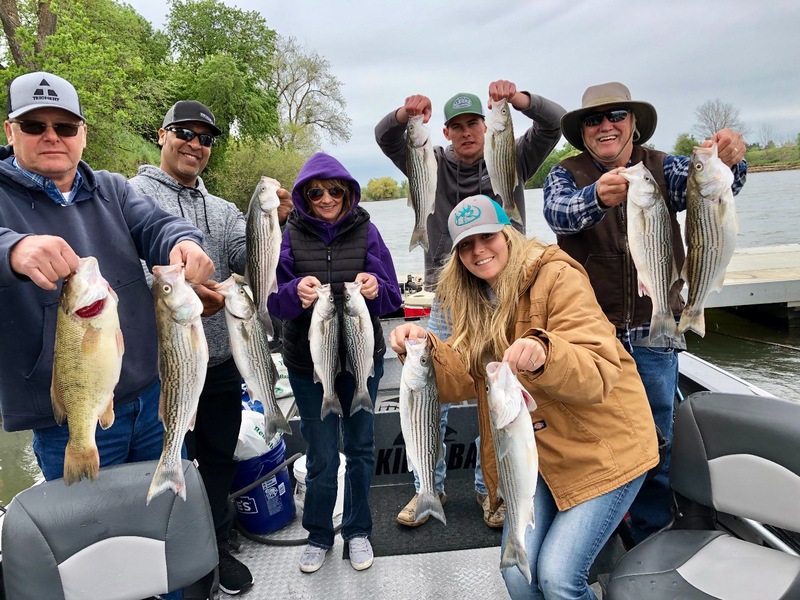 May is going to be a great month this year for Striped bass fishing in the Colusa area. Let me know if I can help get your group booked for a day odf Striper fishing on the Sacramento River! 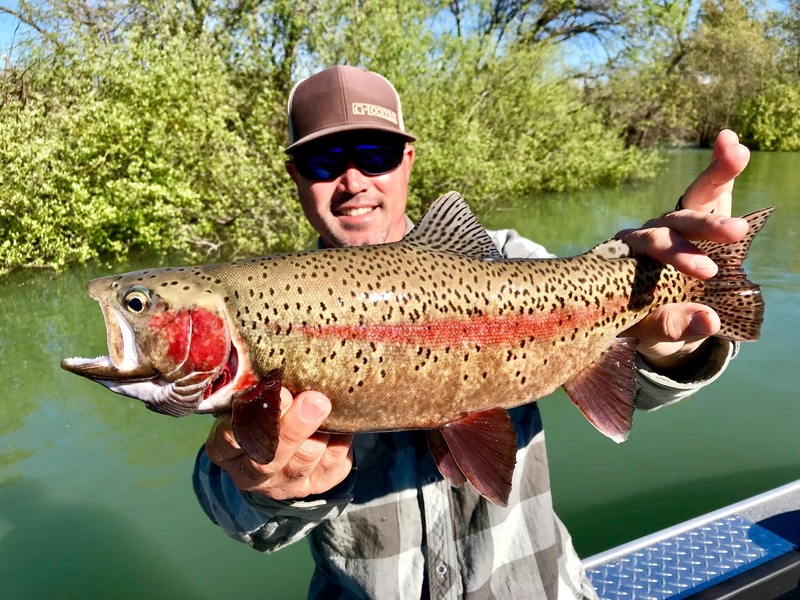 Hot rainbow fishing on the Sac!